Dealer Tire is a tire and parts supplier that was founded by the Mueller family in 1918. Dealer Tire helps auto manufacturers and dealers grow their tire and light maintenance business and increase sales and customer satisfaction. Some of its services include industry research, consumer research, inventory management, warranty processing, carline services, etc. The company has its corporate headquarters in Cleveland, OH, and additional location throughout the US. Dana Incorporated is an American worldwide supplier of drivetrain, sealing, and thermal-management technologies. Founded in 1904 and based in Maumee, Ohio, the company employs nearly 31,100 people in 33 countries on six continents. In 2017, Dana generated sales of nearly $7.2 billion. The company is included in the Fortune 500. Whiteside GM is a Chevy, Buick, and GMC dealer serving Wheeling and St. Clarisville with new and used cars. It Pays to drive to Whiteside! Nissin Brake Ohio, Inc. manufactures and supplies brake systems for automotive and non-automotive applications in North America and internationally. It offers actuation, anti-lock brake, vehicle stability assist, and traction control systems; and front and rear calipers, drum brakes, aluminum knuckles, aluminum engine mount brackets, and proportioning control valves. The company also provides motorcycle brakes, including front and rear disc brakes, front and rear brake master cylinders; and ATV parts, such as front brake, hub, and rear panel break assemblies. In addition, it offers its replacement parts through OEMs. Nissin Brake Ohio, Inc. was formerly known as Findlex Corporation and changed its name to Nissin Brake Ohio, Inc. in April 2004. The company was founded in 1988 and is based in Findlay, Ohio with a location in Rock Spring, Georgia; East Liberty, Ohio; and Waukesha, Wisconsin. Nissin Brake Ohio, Inc. operates as a subsidiary of Nissin Kogyo Co., Ltd.
Crowne Group, LLC, through its subsidiaries, manufactures automotive and industrial components for original equipment and aftermarket industries. It offers tube form products, fuel storage components, interior components, injection molded products, gas springs, industrial dampers, exhaust components, vacuum actuators, and windshield wiper systems. The company serves customers in automotive light vehicle, commercial vehicle, industrial, marine, and agriculture markets. It offers its products through distributors in the United States and internationally. The company was incorporated in 2013 and is based in Cleveland, Ohio with subsidiary companies in La Vergne, Tennessee; Livonia, Rochester Hills, Warren, Jonesville, and Detroit, Michigan; Logansport and Madison, Indiana; Marion, South Carolina; and Windsor, Canada. ADVICS Manufacturing Ohio, Inc. manufactures automotive component parts, disc brake calipers, antilock braking system, and control modulator units for passenger cars and light trucks. ADVICS Manufacturing Ohio, Inc. was formerly known as SEI Brakes, Inc. and changed its name to ADVICS Manufacturing Ohio, Inc. on April 4, 2003. The company was incorporated in 1989 and is based in Lebanon, Ohio. ADVICS Manufacturing Ohio, Inc. is a subsidiary of Advics North America, Inc.
Shiloh Industries is dedicated to delivering lightweighting, noise and vibration solutions to automotive, commercial vehicle and other industrial markets. Visit Toyota Direct today to see all of our incredible new and pre-owned Toyota models, including the new Toyota Corolla! Lavery Automotive Sales and Service in Alliance, OH is also your Canton, Louisville and Youngstown Chevrolet, Buick and GMC dealer alternative. Visit us today! Visit us at Mike Bass Ford, Ohio's largest volume Ford store, today to take advantage of great deals on all new & used Ford vehicles! Krieger Ford is a new and used Ford dealership in Columbus, OH. Browse our full online inventory and visit our Ford dealership near Westerville and Gahanna, OH for a test drive. We also offer auto parts and repair services, auto financing, and sales. We have a huge selection of both new and used RVs, the lowest prices around, a large service department, and all the parts and accessories you can imagine! Byers Chrysler Jeep Dodge Ram sells new 2018-2019 Chrysler, Jeep, Dodge, Ram & used cars in Columbus. Parts, Service and Financing. Located near Lancaster, Dublin & Delaware, OH. Foster Chevrolet Cadillac of Sandusky, OH serves as your Lorain and Norwalk Chevrolet and Cadillac dealer alternative, providing new and used trucks, cars and SUVs. Jack Matia Honda is a Honda Dealer that offers a large selection of New and Certified Pre-Owned Hondas, including the Honda CR-V, Honda Civic, Honda Odyssey, Honda Pilot and more. Its trained technicians offer routine maintenance and major repairs. Jack Matia Honda also provides great financing options and quality parts that keep Hondas in their pristine condition. 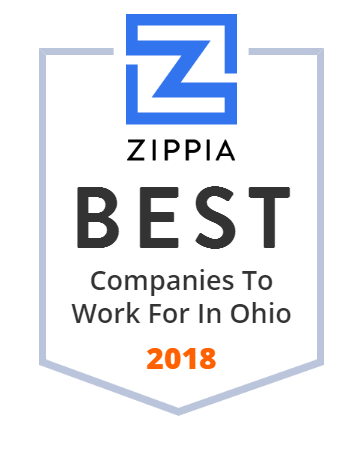 It serves all Northern Ohio surrounding areas including Elyria, Lorain, Sandusky, Middleburg Heights, Broadview Heights, Avon, North Olmsted, Cleveland and more. Visit Tri Motor Sales Inc. in Oak Harbor for a variety of new & used cars cars, parts, service, and financing. We are a full service dealership, ready to meet you and earn your business. American Trim has been forming and decorating metal for over 65 years, to meet our customers' unique performance specifications. Ohio's #1 used car dealer! Over 1500 vehicles available. 3 years free oil changes, roadside assistance, and limited lifetime warranty with used car purchase! Celina Aluminum Precision Technology is committed to producing high quality products using state-of-the-art technology & maintaining an international viewpoint. Search Mathews Newark Ford's online Ford dealership and browse our comprehensive selection of new cars, trucks and SUVs. Buy a new 2019 or used Ford in Heath at Mathews Newark Ford. Serving Pataskala OH, Newark OH and Johnstown OH. Metro Toyota in Brook Park is your destination for a new 2019 Toyota or used car in Brook Park. Our Toyota dealer ship serves drivers from the greater Cleveland area. We're in business to make you smile! MobilityWorks Accessible Vans and Adaptive Equipment. We have 66 showroom locations in 23 states and a Commercial division serving customers nationwide. AAP St. Marys Corporation designs, develops, and manufactures cast aluminum automotive wheels for auto manufacturers worldwide. The company was founded in 1988 and is based in St. Marys, Ohio. AAP St. Marys Corporation operates as a subsidiary of Hitachi Metals, Ltd.
Technical Rubber Company is a leading manufacturer of rubber, industrial material solutions and recycling equipment. TRC brands are trusted by companies and consumers to provide the highest levels of quality and performance. Greenwood Chevrolet is a premier Chevy dealer in Youngstown, OH. The company provides exceptional service, money-saving specials and the latest Chevrolet and Pre-owned Vehicle Inventory selections. At Greenwood Chevrolet, every car is backed by a Trust Driven promise so that customers could buy the vehicle they like with confidence. Its collision repair specialists gladly answer all clients' questions concerning car repair. Greenwood Chevrolet also has an additional location in Hubbard, OH. At Kistler Ford, we believe our customers are the most important part of our business. Every customer that walks into Kistler will have a WOW experience! Sanoh America, Inc. manufactures and markets tubular, chassis, and brazed products for the automotive industry. The company offers metal and plastic tubing products; chassis products, such as cluster tubes (for brake and fuel lines), brake tubes, connectors, pretensioner tubes, and automotive seat belt buckles and shoulder adjusters; and brazed products, including fuel injection rails, exhaust gas re-circulation pipes, water tubes, fuel senders, aluminum pipe intake manifolds, oil cooler tubes, and compact radiators (for motorcycles). It serves customers in the United States and internationally. Sanoh America, Inc. was formerly known as Hisan Inc. and changed its name to Sanoh America, Inc. in November 2006. The company was founded in 1986 and is based in Findlay, Ohio with plants in Orangeville, Canada; Archbold, Findlay, and Mt. Vernon, Ohio; and Scottsboro, Alabama. Sanoh America, Inc. operates as a subsidiary of Sanoh Industrial Co., Ltd.
Hebco Products, Inc. manufactures and wholesales air brake parts for heavy truck and trailer industry. The company was founded in 1999 and is based in Bucyrus, Ohio. Hebco Products, Inc. operates as a subsidiary of Qualitor, Inc.
DTR Industries, Inc. manufactures rubber and plastics products for the automotive industry. The company's products include anti-vibration products, engine and strut mounts, torque rods, dynamic dampers, muffler hangars, and hose. The company was incorporated in 1988 and is based in Bluffton, Ohio. DTR Industries, Inc. operates as a subsidiary of Tokai Rubber Industries Ltd.
Weastec is a subsidiary of Toyodenso Co., a global leader in electrical switches, electronics, and sensors. We supply these products to a variety of industries. Contact us today. The VanDevere Bunch serves Akron and the surrounding area with new Chevrolet, Buick, and Kia sales as well as Akron used car sales at our Auto Outlet. Sunnyside Auto Group of Middleburg Heights OH serving Cleveland, North Olmsted, Elyria Medina is one of the finest Group dealerships. Please research our website for your next vehicle purchase. YUSA Corporation manufactures automotive rubber components in North America. It offers conventional and hydro engine mountings, suspension bushings, control tubes, hoses, fuel lines, powertrain mounts, mass dampers, and other vibration dampening devices. The company was founded in 1987 and is based in Washington Court House, Ohio with additional offices in Tochigi, Hamamatsu, and Saitama, Japan. It has manufacturing facilities in Kamisato and Ano, Japan; Srimahaphoe, Thailand; Santa Oliva, Spain; and Zhongshan City, China. The company also has locations in Prachinburi, Thailand; Guangdong, China; Zacatecas, Mexico; Rajasthan, India; and Barcelona, Spain. YUSA Corporation operates as a subsidiary of Yamashita Rubber Co.,Ltd. Westbrook is a Contract Manufacturer of electro-mechanical assemblies and wiring harnesses to the automotive industry. General Aluminum Manufacturing Company (GAMCO) was founded in 1943. Today, we are part of Park Ohio Holdings Corporation, a publicly traded company under the NASDAQ symbol PKOH. TMD specializes in high quality molded automotive components and assemblies. TMD services include prototyping, tooling, lab testing and more. KOI Auto Parts. Providing world class customer service and reliable auto parts and accessories for over 65 years! Find a store near you and check out our current sales. Jay Industries, Inc. designs and manufactures fabricated metal-welded assemblies and injection molded plastic parts for automotive, lawn and garden, agricultural, and other OEM markets in the United States. Its activities include metal coil slitting, tube manufacturing, forming fabricating, metal stamping, tube bending, machining, welding, and coating, as well as plastics raw material development, injection molding, coating, and assembly. The company was incorporated in 1946 and is based in Mansfield, Ohio. Serpentini is a Strongsville new and used car dealer with Chevrolet, Buick sales, service, parts, and financing. Visit us in Strongsville, OH for all your Chevrolet, Buick needs. American SHOWA, Inc. develops, manufactures, and sells automotive parts for two and four wheeled vehicles. The company offers shock absorbers, power steering systems, prop shafts, and differential gears for automotive, motorcycle, and all-terrain vehicle manufacturers. American SHOWA, Inc. was formerly known as Sunbury Component Industries, Inc. and changed its name to American SHOWA, Inc. in April 1994. The company was founded in 1986 and is headquartered in Sunbury, Ohio. American SHOWA, Inc. operates as a subsidiary of Showa Corp.
All Vehicle Accessories & Professional Installation in Northeast Ohio. Call us today at (330) 497-0070! Bob Ross Buick GMC has been serving the community for over 40 years! We provide outstanding sales, service and specials to the entire Dayton area! Trim Systems Operating Corp. engages in designing, engineering, manufacturing, and supplying interior soft trim and exterior hard trim products for the commercial vehicle marketplace. Its products include instrument panels, cabinetries, consoles, headliners, wall panels, door panels, noise abatement products, floor systems, privacy curtains, storage systems, mechanical systems, bumper fascias, mirrors, seating systems, grab handles and armrests, and black ice detection products. The company was incorporated in 1998 and is headquartered in New Albany, Ohio. Trim Systems Operating Corp. operates as a subsidiary of Commercial Vehicle Group Inc.
Fuel Mart has retail fuel and convenience stores that offer high quality products at competitive prices. Most locations are open 24 hours for customer convenience. You'll find everything you need to fuel for the day at Fuel Mart! HFI is a leading Tier 2 supplier of interior automotive products specializing in cut and sew, foam-in-place, small parts foam and assembly operations. Selling New & used cars dealerships in Ohio, Kentucky, Indiana, to include auto repair and service, body shops, auto ins, and parts and accessories. Fyda Freightliner is a Daimler authorized, full-service dealer network stocking an extensive inventory of new Freightliner and Western Star trucks and Sprinter vans, along with a wide variety of all makes pre-owned commercial vehicles for on-highway and vocational applications. Fyda Freightliner Columbus, Inc. is a leading supplier to the expediting market, offering the largest inventory of new and pre-owned Expediters nationwide. Visit Tom Ahl Family of Dealerships in Lima, OH to buy a new or used Chrysler, Dodge, Jeep, RAM, FIAT, Hyundai, Genesis, GMC or Buick. Serving drivers near Findlay OH, Wapakoneta OH & Delphos OH. Call 419-909-6549 for a test drive today! Alex Products is a world-class, globally diversified technology and automotive industrial leader, primarily manufacturing automotive seat frame components. Stanley Electric U.S. Co., Inc. is a leading automotive lighting manufacturer located in London, Ohio. Vin Devers Autohaus of Sylvania is an Authorized Mercedes-Benz / Sprinter Dealership located in Sylvania Ohio (Part of the Greater Toledo area)!! Northern Stamping Inc. is an engineering and manufacturing company that provides expert engineering services, advanced manufacturing capabilities and superior project management. NSI provides a variety of other stampings and welded assemblies, suspension related parts and other products to the automotive market. Headquarted in Cleveland, Ohio, NSI is a global company and manufactures its product solutions to customers in Flint, Michigan; Queretaro, Mexico; and ZheJaing, China. Milark Industries, Inc. specializes in metal stampings, tube bending, welded parts and subassemblies. We also have in-house equipment for deburring, tapping, sanding and buffing. Neaton Auto Products Manufacturing, Inc. supplies products to the automotive industry. It offers automotive interiors and exteriors, steering wheels, SRS airbag modules, instrument panels and related components, ventilators, internal/external trim parts, leather wrapped steering wheels, leather wrapped shift knobs, internal plastic trims, and automotive components made of magnesium. The company was founded in 1984 and is based in Eaton, Ohio. Neaton Auto Products Manufacturing, Inc. operates as a subsidiary of Nihon Plast Co., Ltd. When you're in the market for a new or certified pre-owned car or SUV, look no further than Progressive Auto Group, with 3 locations to serve you!